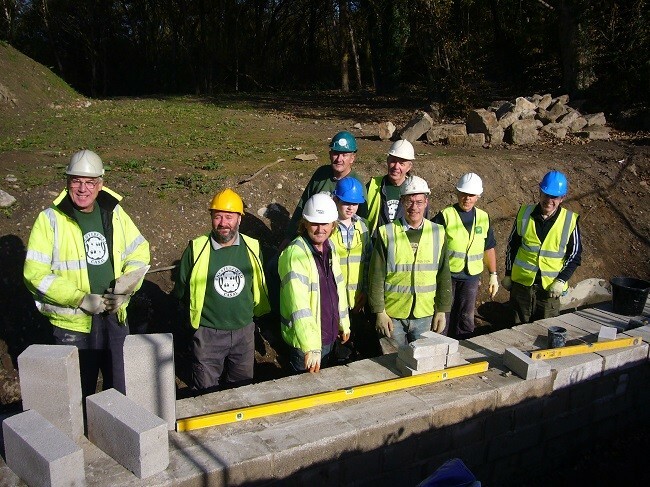 In 2009 our Work Party was working at Renishaw, where a new short section of canal had just been opened. To see the story of this restoration, click here. This work had to stop in 2010. Click here to find out the reasons. Our Work Party at Renishaw in 2009.